Want to sign up and register an account to become a member of Simuscape? 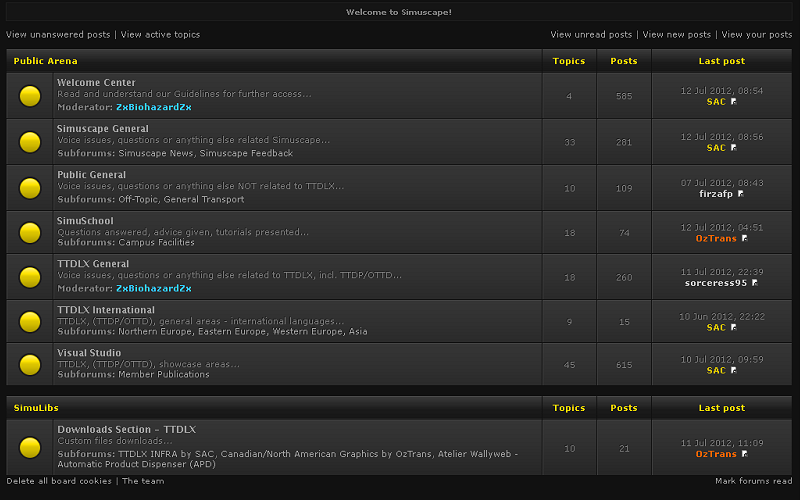 To read the entire forum, to post and to download custom files, you need to be a registered member at Simuscape. Creating an account only takes a few minutes and is similar to any other registration process online. However, you need to pay extra attention to the instructions referring to our spambot countermeasures. This is a simple procedure, but is sufficient enough to keep unwanted visitors outside the doors! Familiar with registration processes online, incl. spambot countermeasures? Please continue in the regular way! If you need some assistance on how to register an account with Simuscape, we've added a descriptive step-by-step guide on how to proceed for your convenience below! To get the most out of this guide, please keep this on a second tab for a quick and easy reference while proceeding further with the registration. To register, please continue here! Fill in the information and ENSURE you enter a valid e-mail address as a validation e-mail will be sent to you upon registration. Allow for up to 10-15 minutes for the validation e-mail to arrive, and please check any junk mail depending on your e-mail settings. Keep in mind that a validation MUST be attended to as soon as possible, otherwise your newly registered account will be deleted. ...deemed to be offensive, inappropriate or otherwise unacceptable. ...structured too similar to those used by spambots. ...too similar to another member's username. For the final step on the Registration Form, answer the question at the bottom marked in red, which is part of our spambot countermeasures! Please note, DO NOT include the ? nor the : at the end of the question marked in red when answering! Also, be aware that both the question and the answer may vary from time to time, thus not reflecting what is visualized in the image above! Once you've received the validation e-mail and your account has been activated according to the instructions included, you are at this point restricted to one forum, the Welcome Center. This means you are almost a full member of Simuscape, indicating the final end of the entire registration process. Problems while registering? Insufficient step-by-step guide?